Could Self-Driving Trucks Be Transporting Cold Product Soon? With technology advancing and no limit in site to the impact these advances will continue to have on our lives, more and more people are asking whether self-driving trucks could turn the shipping industry on its ear within the next 5-10 years. Technology companies and automobile manufacturers are already testing a variety of self-driving vehicles, but it’s the possibility of self-driving trucks that could have a huge impact on companies that ship refrigerated or frozen products across the country. One such company, Otto, used its self-driving technology to transport 2,000 cases of Budweiser 125 miles from Fort Collins, Colo., to Colorado Springs, Colo., in October. Otto does not manufacture trucks, but it retrofits trucks with equipment that allows the vehicles to drive themselves. 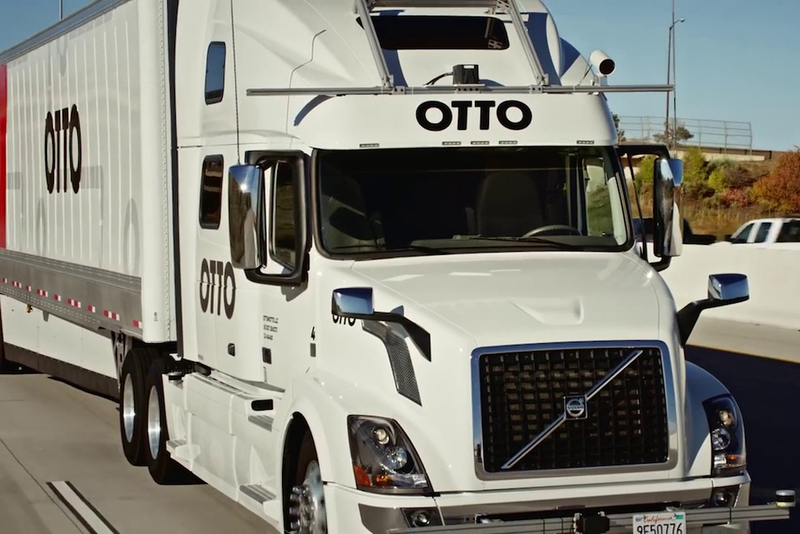 The following video shows a ride-along with a self-driving truck using the Otto technology. Truck manufacturers, such as Volvo Trucks, Peterbuilt and Daimler Trucks are working on their own proprietary self-driving technology. While some fear this technology could eliminate trucking jobs, this fear may be unwarranted. Drivers are still needed to merge on and off freeways, navigate the truck through stop-and-go traffic and back trucks up to loading docks. Otto has so far only designed systems that require a driver present in the vehicle. But the benefit of allowing drivers to take breaks, sleep or do paperwork while the truck keeps driving 24 hours a day could mean huge gains in efficiency and cost-cutting in an industry where a single truck driver is currently limited to 11 hours per day or 60 hours per week by law. The technology could allow for big savings and possibly fleet reduction for companies that pay more to transport refrigerated or frozen products than they would pay to ship non-refrigerated cargo. Whether this change comes soon or is many years down the road, Washington Cold Storage is prepared to be that ideal facility for trucks transporting cold products, whether a driver is always at the wheel or not.